The OB Town Council meeting on Wednesday, May 28, focused on Community Plans – the one in Barrio Logan under attack and the OB Plan hopeful of approval. If you have read your ballot by now – A YES vote on Propositions B and C preserves the 2013 Barrio Logan community plan resulting from the city’s community process and approved by the San Diego City Council. Challenged by the shipyard interests, a NO vote will overturn the approved plan. 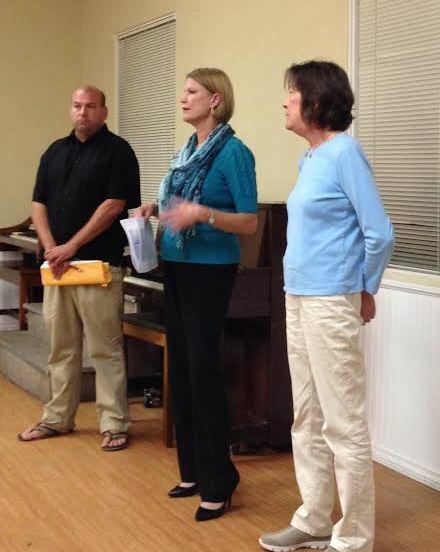 The OB Town Council gave both sides the chance to tell their story, and local residents attended to hear what they had to say. Gretchen Newsom, the OB Town Council President, presented tight guidelines for presentations, and both sides abided by them. Speaking on behalf of the Propositions, Joy Williams, of Yes on B and C, spoke for the community plan. The prior plan, written in 1978, supports mixed and incompatible planned use. The problem with Barrio Logan itself is the close proximity of major shipbuilding industry and residential use. If Propositions B and C are defeated, the area plan will revert to the 1978 version. The proposed plan establishes a buffer zone between the two uses, but the Industry in opposition claims they will be put out of business by the new plan. Presenting this industry opposition was Matt Carr, a business owner of California Industrial Ship Cleaning, a support service to the major ship-building industries. The propositions were placed on the ballot through an initiative supported by the Protect Our Jobs Coalition. He sees the new plan as a behind-the-scenes support for housing development near the bay and the backdoor-phase-out of Industrial use through the requirement for new Conditional Use Permits. The Ocean Beach crowd of 50, which can certainly be outspoken at times, was respectful of both points of view, asked informed questions, and limited their comments. The chair invited final comments, and the two reiterated their positions. The next item on the agenda was the Ocean Beach Community Plan, which obviously invited a comparison to the problems in gaining approval in Barrio Logan. Presented by Gio Ingolia and Mindy Pellissier, this was a call for support for the next phase. The public was urged to come to the City Council Hearing on June 30 for final local approval and to “wear blue” to show your support. 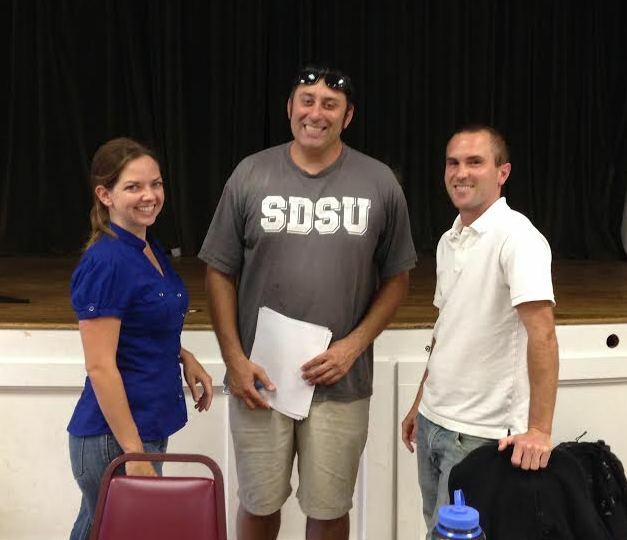 Theresa Millette, City of San Diego Planning Division, was also at the meeting to represent the city. The plan up for approval contains the words “preserve” and “protect” in each plan element, in support of “small scale character.” The current chair of the OB Planning Board, Peter Ruscitti, was also there for support. A round of applause showed the appreciation of the group for the efforts that have gone into the Ocean Beach Community Plan. Earlier in the meeting, political representatives provided a variety of reports. The Ocean Beach Mainstreet Association (OBMA) has been given money donated by the Police Officers for a video-cam to be placed on the police trailer. This will serve as a record for the police to review activities at the end of Newport Avenue. Another initiative, private security services, will be provided by OBMA and supported through donations. The Over-sized Vehicle Ordnance will be in full effect by August if all goes as planned. Permits for RVs to park on the streets will be made available for $2.00 a day, for up to 72 days a year, but limited by the 72 hour continuous-parking rule. The OB entry sign was termite damaged and will be replaced with a similar one of more durable material. It has been funded by County Supervisor Ron Roberts’ office. OB Community grants are available from the OB Town Council; applications must be made by July 1. Mark your calendar – JUNE 7, noon to 3:00 pm – a Barbecue is being held at Veterans Plaza at the end of Newport to honor first responders – the fire fighters, lifeguards, police officers who support our community. Tickets are $20 for adults and $10 for children; please plan to attend this truly worthwhile event. And finally, it was announced that the Marshmallow Wars are over! Start to plan now for a marshmallow-free-Fourth-of-July.